On "Arrested Development" David Cross hated all that blue. 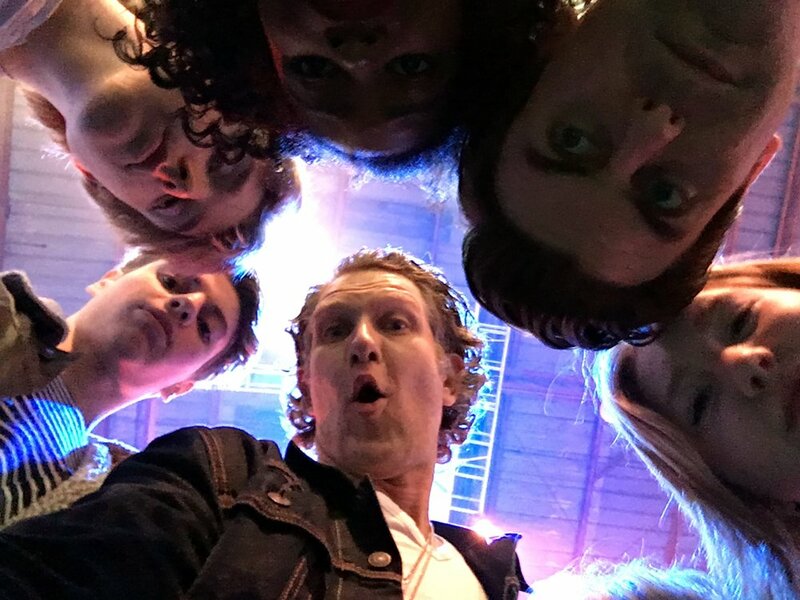 We just had it on our faces. But he had to smear it all over his body. He was a trooper though. On stage at the kids choice awards 2017 accepting the award for Best Kids TV Show. 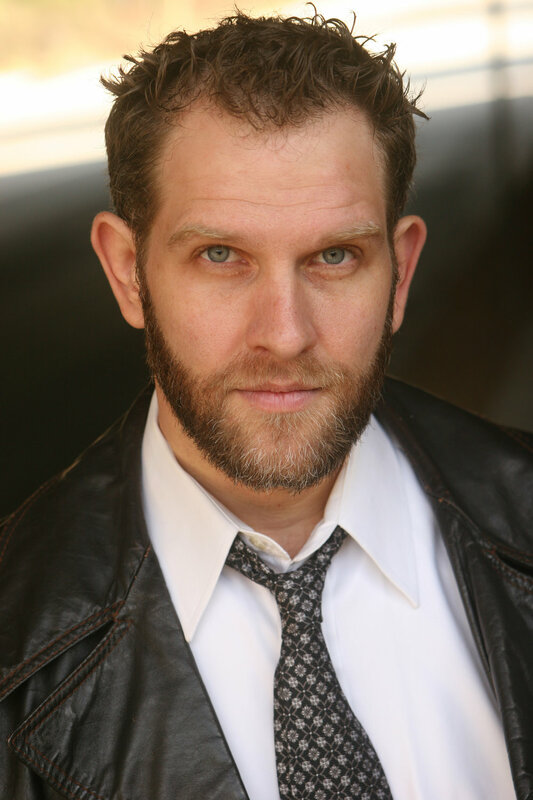 Thank you Dan Schnieder!! 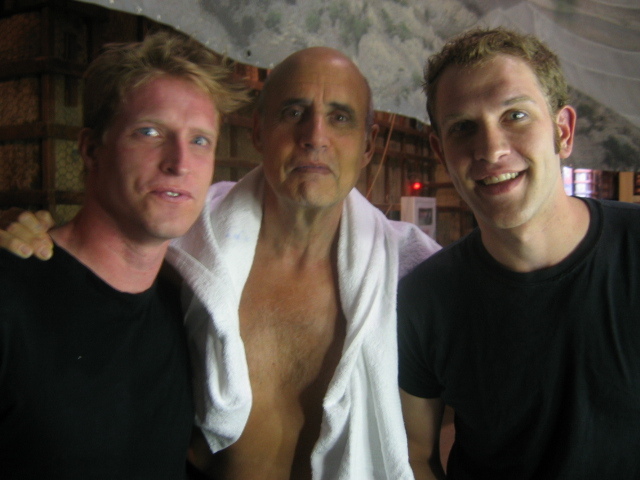 With Jeffrey Tambor and Jeffrey Doornbos (another Blue Man) after shooting Arrested Development. Three Jeffrey's Can you handle it? I went on to study acting for a number of years with Jeffrey (Tambor) after this shoot. 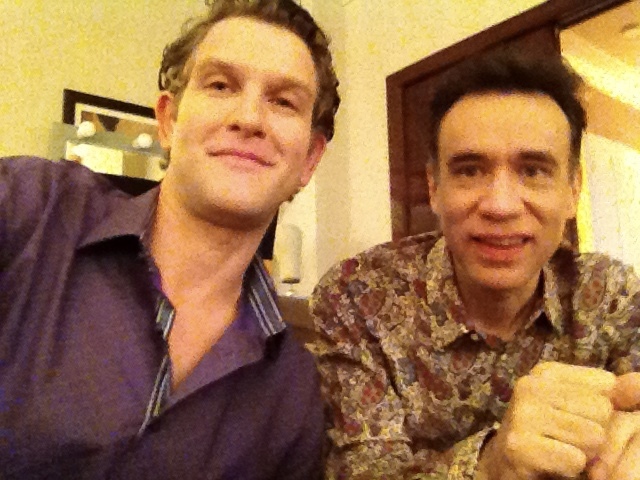 Me and my tv fiance Fred Armisen shooting "Modern Family" in Vegas. 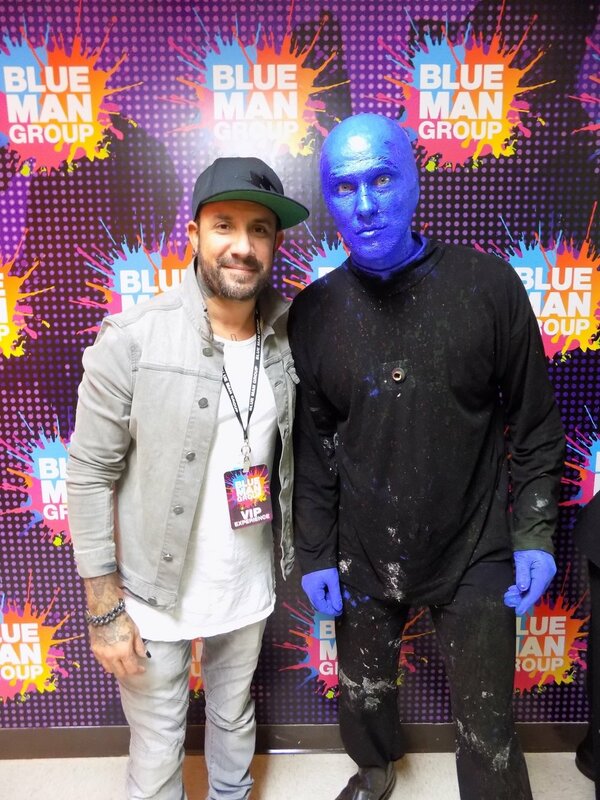 He was in Blue Man Group too! Me and my TV son Jace Norman being real cool. 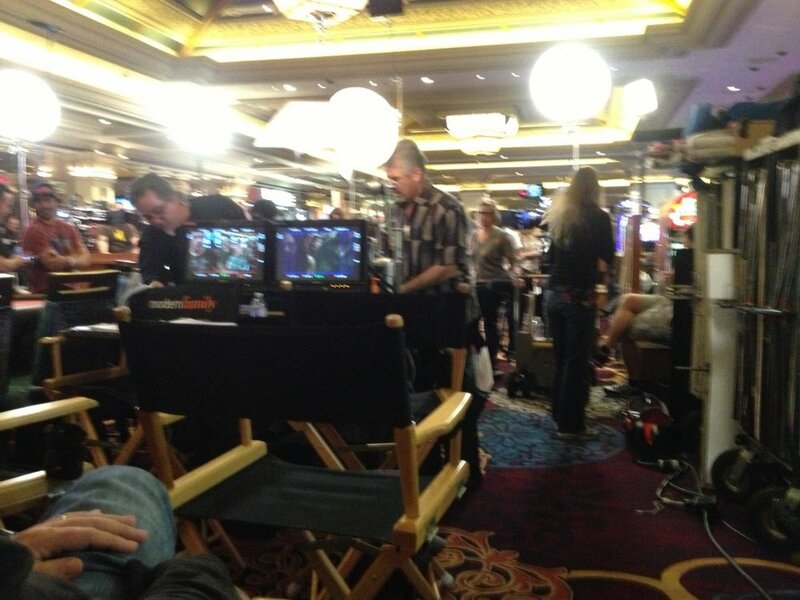 With the talented Eric Stonestreet shooting "Modern Family" in Vegas. He's a drummer too! With my old pal Jason Sudiekis at the Kids Choice awards 2016. 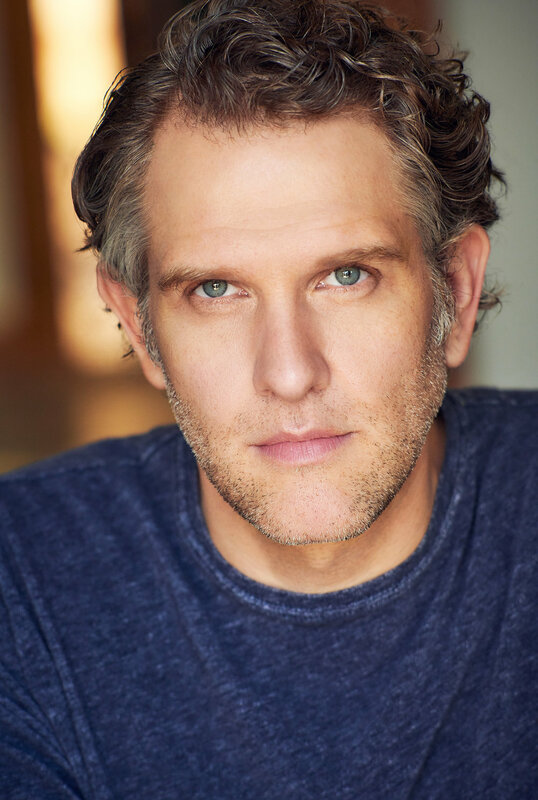 He was doing Second City while I was doing Blue Man Group in Vegas. THAT was a fun time. 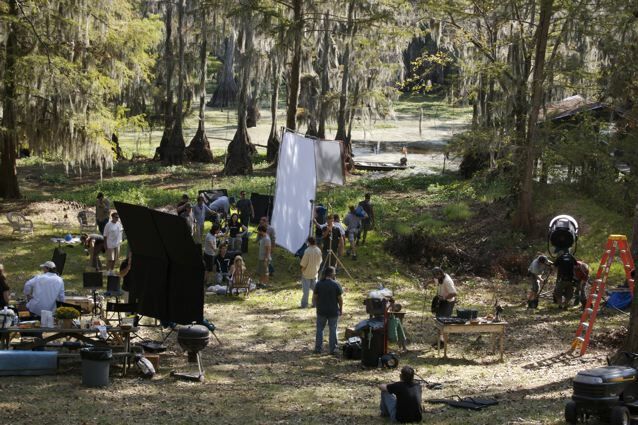 Shooting True Blood down in Louisana. Loved those swamps! Ahhhh Henry Winkler. He is as nice as they say he is. Ma and Pa Stackhouse. Anna Paquin could really be our daughter I think. 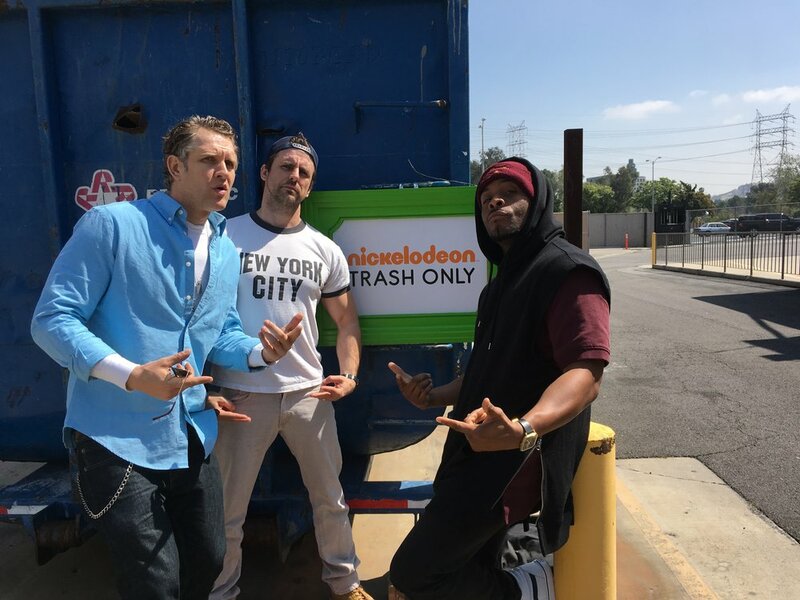 With me and my fellow Nickelodeon trash, Cooper Barnes and Kel Mitchell after the table read of the Henry Danger/Gameshakers crossover episodes. First day of shooting our web series"Vicarious"! 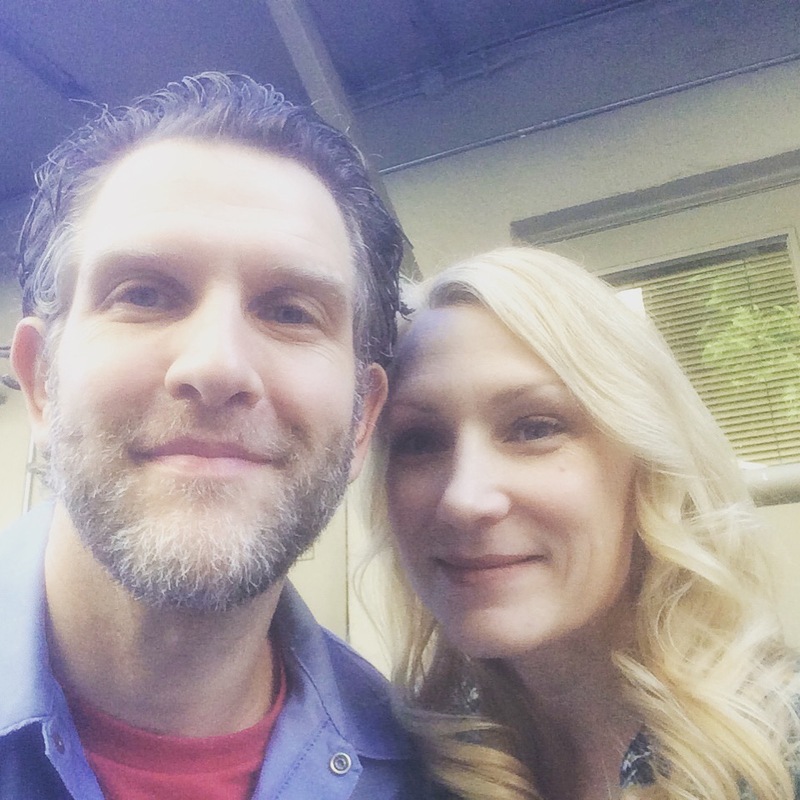 That time Liz Gilles came by the Henry Danger set to say hello. She's a nice one. That time I did motion capture for some Disney interstitials. So cool to see yourself as an alien in real time! 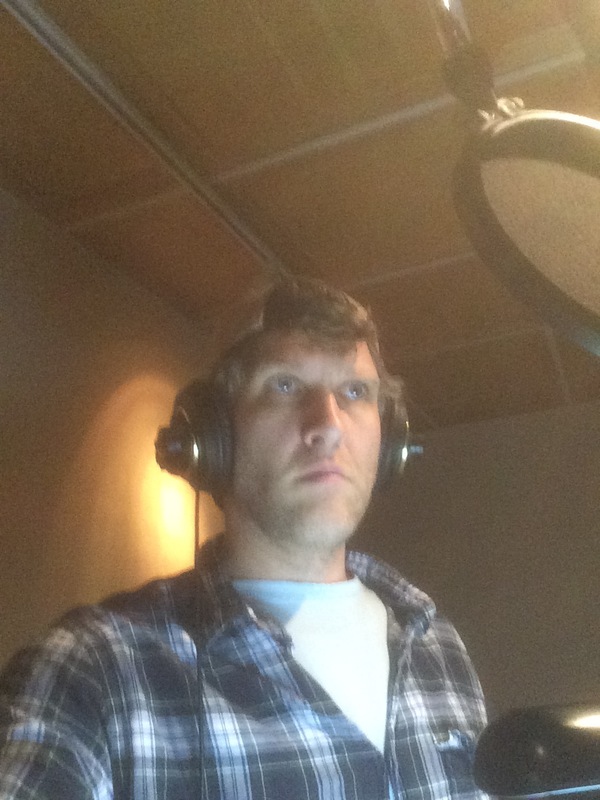 Recording "Doc McStuffins". I am serious about being a dinosaur! 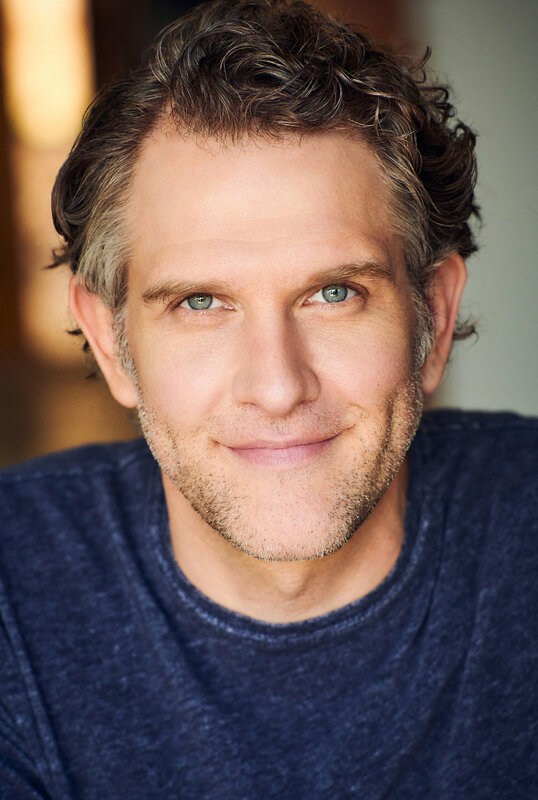 The Dad from Henry Danger is married to the Mom from Victorious. Put THAT in your pipe and smoke it! Orange Carpet fun . Kids Choice Awards 2016. Orange carpet Kids Choice Awards 2017 with the talented and charming Michael Cohen. Shooting an Intel commercial. I was a crazy billionaire!!! Cause they look like this, right? Doing the robot with Dad and Captain Man. Get down!! 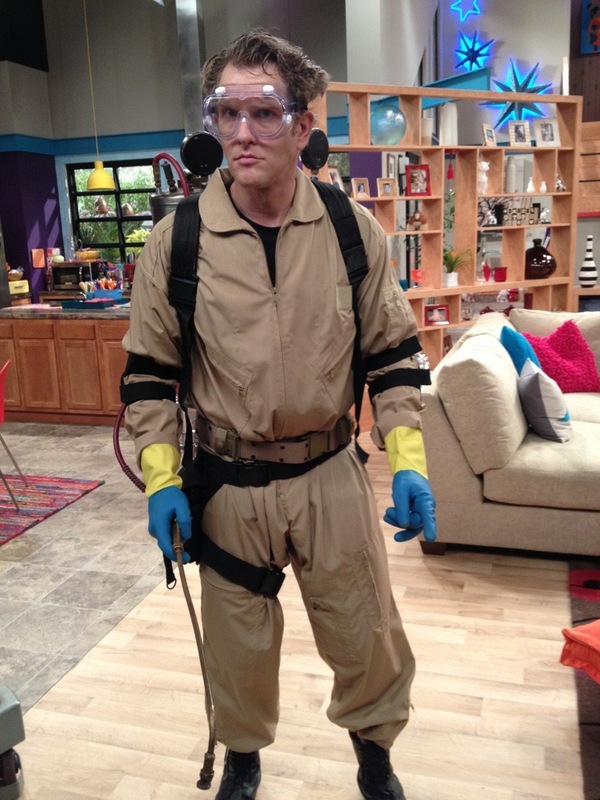 My favorite outfit to date on the set of Henry Danger with my pal Cooper Barnes. Not sure who looks more ridiculous. Shooting the viral web video Back to the 90's with creator, producer, and star Ben Giroux. Me flying through the air in Seoul Korea to hit that BIG drum. Just a selfie with me and 1000 of my closest friends. That magical night when George Carlin came to see us. 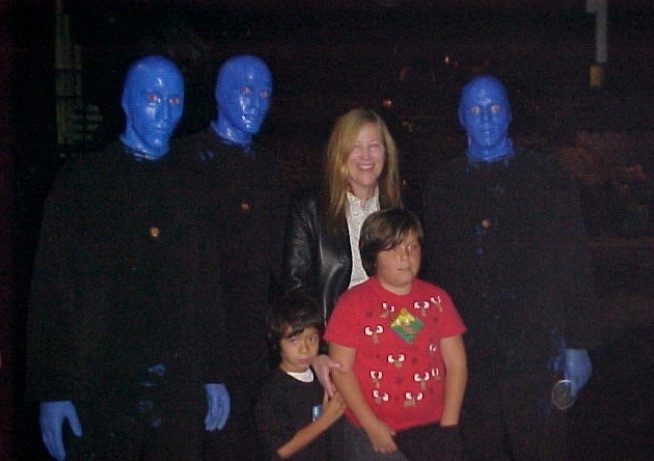 He had been a blue Man fan since the early early days. At the Pollstar Awards with Dave Mathews. 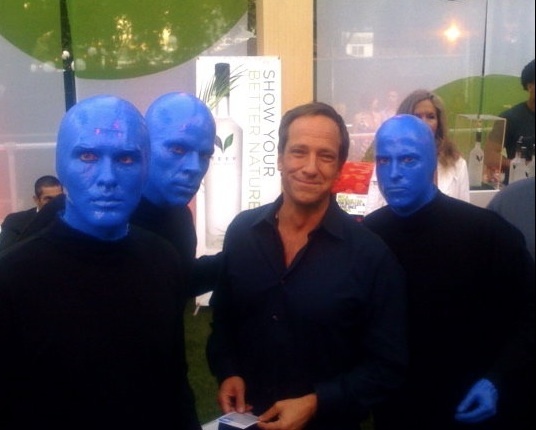 He sang on the second Blue Man Group Album. So there. John Stamos and Rebecca Romaine came to see our show twice in one night! Yeah! We are that good! The exact moment of me realizing my childhood dream of playing drums with Tommy Lee of Motley Crue. 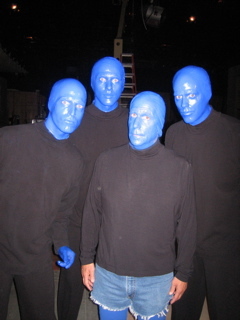 We were rehearsing for a Blue Man Group collaboration with the band Train at the Greek Theatre in LA. Mr Las Vegas.... You can barely tell we got up at 2am to be live on the east coast!! Oh Sharon... open your eyes! The 19th time AJ from The Backstreet Boys came to see our show. He REALLY likes Blue Man Group. Long time fan of Blue Man Group Joe Perry came to see us when Aerosmith was in Vegas. He saw our Boston show many times. This was huge. ..Jason Alexander... I don't even know what to write here. Sly Stallone and his family. I think his girls were scared of us. I have never been more star struck than when Catherine O'hara came to see our show. Such a fan of her. Out on the Blue Man Group Rock tour. Those were the days. Blow into town, do a show in front of 10,000 people, get on the tour bus and split that night. Oh what a time it was. Walking on to the Hollywood Bowl stage. We somehow sold out two nights there. Love that venue. On stage at the Greek Theatre with Tommy Lee. He is the ultimate man-child and a ton of fun to be around. Some real classic Vegas here. Carrot Top and Chris from N'Sync. Love the random mix of B list celebrities. Rumor Willis's 10th Birthday Party? I gave Steven Soderberg a copy of a film I made right after this. That blue make-up gives me strange confidence... He was in town shooting Oceans 11. Playing with the great and powerful uberschall at Studio 54 in Vegas. This band had four drummers. Tim "Herb" ALexander was one of them. My hand percussion drum set! Onstage backing up the talented Anna Nalick at Anthropology in San Diego. What an artist she is! Backstage at the Guitar Center Drum offs with Steve Perkins of Jane's Addiction!! This guy changed my whole world in high school! DId a ashort film about being a performance artist drummer guy. I made a bucket kit and out it through electronic guitar pedals. At the Mint in LA with Mike Gurly and the Nightcaps. Another childhood drumming idol, Tommy Lee of Motley Crue. Drumming with DJ Dubgypsy at an event. Love playing along to great music! My hand percussion drumset!! Love mixing it up like this! That time We were the back up band for Eddie Money up in Santa Clara, CA. With my MAIN man and dear friend Robin Finck of Nine Inch Nails. At the Hotel Cafe in Hollywood with Anna Nalick. Probaby my favorite venue to play at in LA. Playing at M Bar with the dark and haunting sounds of Ali Young. My view at Jax with Mike Gurly and the Nightcaps.